It’s that time of year again! Everywhere you look, people look like pandas, there’s mucus in the air and people with shares in Kleenex are laughing all the way to the bank! It’s hay fever season! Hay fever is quite common and no doubt you’ll have patients coming your way in the not-so-distant future. Sneezing, a runny nose, the itchiest eyes in the world and grogginess. The symptoms are caused by an allergy to pollen, the proteins of which can cause swelling to your patients’ nose, eyes and sinuses. I’m a hay fever sufferer and I hate this time of year. I can’t sit in the park without going semi-blind and I find it difficult to play golf. To be fair, I find it difficult to play golf at the best of times. What your patients should avoid if they have a pollen allergy? Patients essentially need to avoid going outside if they want to stay away from high concentrations of pollen. Pollen is emitted at varying times of year from a variety of plants. Trees and grass in the spring and summer, and weeds in the autumn. 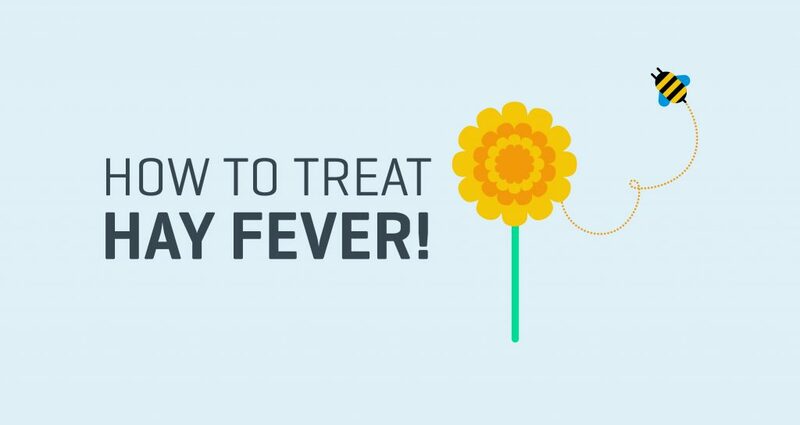 How to treat hay fever and its symptoms? Well, as of yet we can’t cure hay fever. But we can treat it and we can improve our patients’ quality of life. The best way to treat hay fever would honestly be to stay in orders for 8 months of the year, close the windows and pray that nobody comes to visit. Alternatively, antihistamines can help to prevent an allergic reaction from occurring. A course of corticosteroids can help to reduce inflammation and swelling in your patients’ nose, throat and around their eyes. There are lots of over-the-counter remedies available such as cetirizine and piriton. Be sure to warn people as to whether or not the tablets are drowsy/non-drowsy. You don’t want someone falling asleep at the wheel if they’ve just bought medicine from you. Some people get treatment on prescription. If someone is a long-term sufferer, there is a treatment called immunotherapy, which helps build a resistance in the individual. The treatment can take months but there would be fantastic long term benefits for the person in question. You can get hay fever at any age, although it usually begins in childhood or during the teenage years. It's more common in boys than girls. In adults, men and women are equally affected. Although hay fever is generally more annoying than harmful, you need to be careful when kids are involved. The effects of hay fever could result in an ear infection. Remember, pharmacies add over 4500 locum shifts to our locum platform every month!! Get applying now!